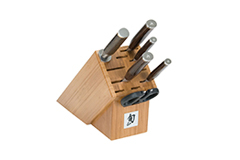 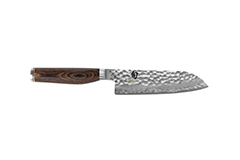 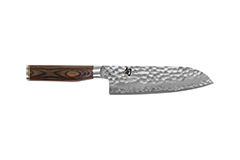 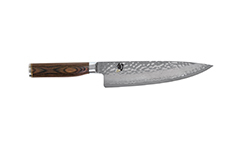 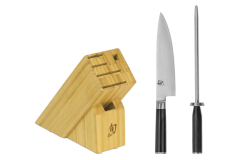 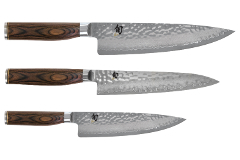 The Shun Premier Collection of knives, still hand crafted by skilled artisans, have the look of the hand-forged knives of ancient Japan. 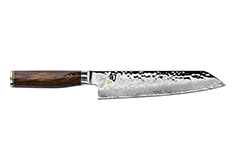 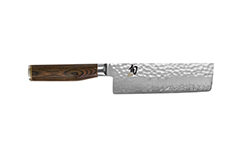 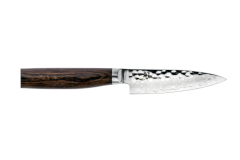 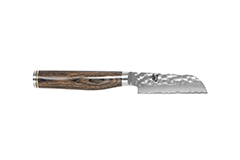 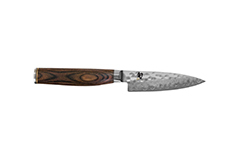 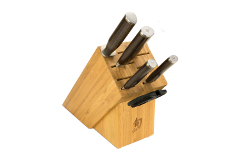 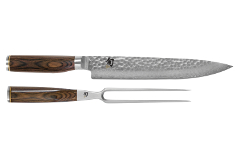 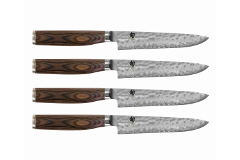 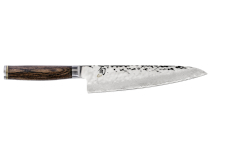 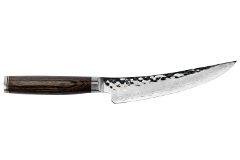 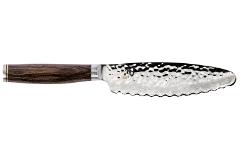 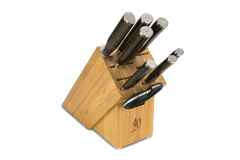 Each blade has a VG-MAX core, clad on both sides with 34 layers of Damascus stainless steel, giving each knife a unique finish. 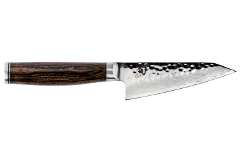 The hammered tsuchime finish acts like hollow ground dimples to reduce drag when cutting.